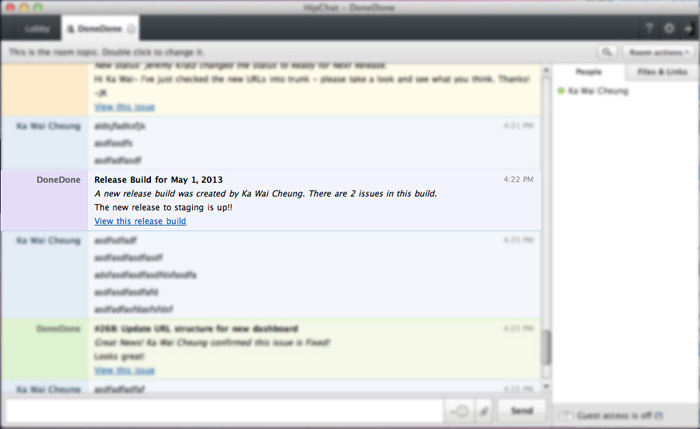 You can connect a HipChat room to receive notifications on all activity within a project. Click on the HipChat section and follow the instructions to create a new API token and select the room where ou'll receive DoneDone notifications. Once you've linked your project up, all project notifications will be sent to your HipChat room immediately. Happy chatting!